The basis of corporate governance is composed of, transparency, accountability, responsibility and honesty. Business accounting accurate and reliable information to be received from the direction of business management, is a requirement of modern business management. The information produced by the entity accounting, business managers, not just employees, the company invested money to investors and lenders, third parties doing business with enterprises and public concerns. Globalization of the world economy, the importance of adequate and reliable financial information flows between enterprises has increased even more. This situation has necessitated the preparation of accounting and auditing practices based on certain internationally recognized standards. 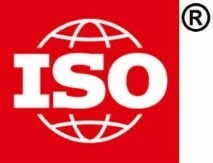 The world’s recognized International Accounting Standards in countries with developed economies (IAS) and International Financial Reporting Standards (IFRS) International are consistent with the financial statements Standards on Auditing (ISA) monitoring in the context of consolidation of subjecting the analysis and adoption of revised. In our country, these standards have been adopted and which will operate in this regard independent auditors and authorized the establishment of independent audit and surveillance tasks Public Oversight Accounting and Auditing Standards Agency (KGK) are given. Our company is a Public Oversight Accounting and Auditing Standards Agency (KGK) by BDK / 2014 / 051 registration number Including Public Interest Entities about doing an audit, the Capital Markets Board 04.03.2015 date 9/404 numbered in accordance with the decision taken at the meeting, Series X, No. : 22 “Communiqué on independent auditing Standards in Capital Markets” was authorized to provide audit services in the frame. The purpose of our audit; company management, corporate partners and other third parties (potential investors, banks, private financial institutions and public administration), such as financial statement users unbiased, accurate, in a reliable and internationally recognized reporting standards is to provide access to information. Our company since its inception quality companies that are subject to independent audit, reliable, and well inspection services will result in time sequence, training of business accounting staff, which will meet for the first time independent auditing and configuring the audit-ready accounting system successfully offers the services.